Anthony Stevens is a licensed Financial Professional who has been working closely with families and business owners since 2012. Together with the integrity and diversified resources of AXA Advisors, he is fully prepared to accommodate all financial planning needs. Born and raised in Central New York, Anthony has developed a strong sense of community in the Syracuse area. He and his wife reside in Syracuse, NY in the Sedgwick neighborhood. Anthony currently serves the United Way as a member on their finance committee. 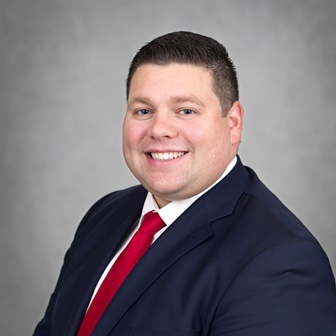 Prior to his service with the United Way, he was also a member of the Board of Directors for the Syracuse Silver Knight Foundation from 2013-2016 and a Co-Chair of 40 Below from 2013-2015. Through focused attention and service, he is committed to developing the most comprehensive plans to suit his clients' needs. Where he truly finds his passion is in business planning solutions. He recognizes the concerns that business owners face and provides them with a knowledgeable perspective and the educational tools they need to succeed. In addition to my current role as a financial consultant, I have also assumed the role of Vice President for AXA Advisors, LLC. I work to foster a professional agency environment by recruiting individuals who have the drive and commitment to succeed in the financial services industry. My team and I help ensure that financial professionals receive the training, guidance, skills and knowledge they need to achieve their professional goals, offering continued support as their business and career needs change. AXA Advisors is a subsidiary of AXA Financial, Inc., a member of the global AXA Group*, and an affiliate of AXA Life Insurance Company (NY, NY), which has over 150 years of experience. AXA Advisors,LLC, a respected leader in the financial services industry, has exciting opportunities for motivated, team-oriented individuals seeking greater professional satisfaction, higher earnings potential, and excellent professional choices. AXA Advisors' financial professionals are relationship builders, equipped with the knowledge and experience to deliver customized, objective financial advice and strategies to meet our clients' evolving needs and focus on their financial goals. Our financial professionals come from a variety of disciplines, including accountants, educators, attorneys, managers, and salespeople -but they all share several key attributes. They possess high integrity and strong business ethics. They have an established network within their community and the desire to help others achieve their financial goals through trusted, strategic client partnerships. If you are determined to succeed, then AXA Advisors is positioned to provide you the strength and support to help build your own business. We're always looking for motivative and talented people to help us develop new and innovative ways to expand our product portfolio, reach new customers and serve well the clients already a part of the AXA Advisors family.